It is perhaps unfair that I don’t devote an entire entry to reviewing Jennifer Haigh’s The Condition, but this book plays well into something I spend a little too much time worrying about: namely, what MFA programs are doing to American literature. On the list of things it has going for it, The Condition is a skillfully written novel with well-drawn characters. Their actions are maybe 95% of the time believable and understandable. On the list of things against it, the plot of The Condition can be summed up in a sentence, because it’s only a plot in the loosest definition of the thing: the novel is about the McKotch family and how the genetic condition of one family member, Gwen (a condition that leaves her in the body of a child for her entire life) impacts the course of their lives. Things do happen in this novel. People break up and come back together. People are married. Gwen’s father, Frank, has a drama at work. But at end, the novel lacks a center. Haigh splits her time evenly between the major family members (the parents, Frank and Paulette, and their children, Billy, Gwen and Scott) and the result is a certain lack of focus. Maybe their lives were impacted by Gwen’s medical condition, but to base an entire novel on this is a shaky proposition; and moreover, Gwen’s condition doesn’t seem to have had all that much impact on their lives. One widely held assumption throughout the novel is that Frank and Paulette divorced because of the stresses resulting from Gwen’s condition, but near novel’s end we find that those fractures in their marriage were present long before they split up. It may be more accurate to say that the novel is about how characters believe their lives have been impacted by Gwen’s life. Haigh’s novel is undeniably a well-written one, albeit not one with reams, or even a few, sentences that leap out and grab hold of you. 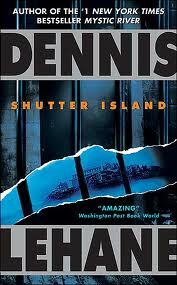 Having read The Condition after Dennis Lehane’s Shutter Island, a novel that is both well-written and well-plotted, the faults of a character-based, plot-free novel, written in the style of (hey!) a graduate of the Iowa Writer’s Workshop, stood out all the more sharply to me. On a sentence-by-sentence basis, Haigh is arguably better than the authors of some of the classics I’ve been reading lately – Kate Chopin, Nathaniel Hawthorne, even Fitzgerald in The Beautiful & Damned. They all fail sometimes to craft the universally pleasing sentences of her novel. But there is no question that all three of them are better writers than Haigh. Reading their books, I feel that there’s something real in them, that characters are being caught up in history, in life, unlike Haigh’s characters, who stew in their self-created miseries for nearly 400 pages. 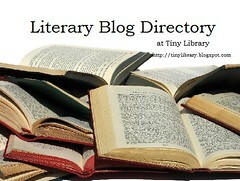 Their novels are not based around a template, a sort of product of the writing programs that are so popular now. How many novels have there been in the last five or ten years with a “plot” centering on how one event impacts the life of a family? How do you even begin to count such novels? …McGurl ultimately falls back on the one thing the programme really does teach: technique. Countering Eliot’s dictum that ‘art never improves,’ he proposes that literature might, rather, resemble technology or sport, in which ‘systematic investments of capital over time have produced a continual elevation of performance.’ Hasn’t ‘the tremendous expansion of the literary talent pool’ and its systematic training in the ‘self-conscious attention to craft’ resulted in ‘a system-wide rise in the excellence of American literature in the postwar period’? It has. If you take ‘good writing’ as a matter of lucidity, striking word combinations, evocative descriptions, inventive metaphors, smooth transitions and avoidance of word repetition, the level of American writing has skyrocketed in the postwar years. In technical terms, pretty much any MFA graduate leaves Stendhal in the dust. On the other hand, The Red and the Black is a book I actually want to read. This reflects, I believe, the counterintuitive but real disjuncture between good writing and good books. On the whole, I agree with Batuman’s view of writing programs, and her article is a much more lucid consideration of the strengths and weaknesses of writing programs than anything I write can be. In that quote, she makes the point that I’ve been reaching towards, if not voicing, for years now: that there a lot of writers producing commendable work that I’ll forget about a week after I’ve read it. My abandonment of short story collections isn’t the result of a decreasing love for the story, but for having, a few too many times, gotten halfway through a collection before realizing, Hey! I’ve read this before!…but still being unable to remember any clear details of the stories. Does it matter how “well written” a work is, by the most objective measures we can imagine, if there’s nothing about the story that we will remember a year, a month, a week after reading it? In her conclusion Batuman writes, “As for literature, it will be neither made nor broken by the programme, which is doubtless as incapable of ruining a good writer as of transforming a bad one.” And as Bill Morris concludes in his essay “Does School Kill Writing?”, “School can’t kill writing.” With Batuman and Morris, though, I don’t think this is a reason for celebration. Although McGurl may argue that we see fiction as increasingly mediocre only because it is, as a whole, so much better than it used to be, I think the mediocrity is more a result of the sameness of literature coming out of creative writing programs. It may be technically good, but I can’t care enough to read it anymore. The Condition, with its forgettable characters, forgettable sentences, forgettable plot, reminded me of why my shift to the classics, to young adult, to genre fiction, to histories, to anything that didn’t emerge from a writing program, has been such a pleasurable one.